When most people first attempt to paint in oils, they see gray and brown everywhere and they paint shadows black and lifeless. 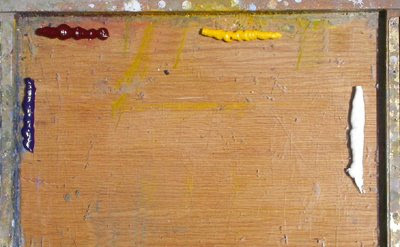 To keep your paintings from being dull, forget about grays, browns and blacks. Get in the habit of thinking of color in terms of primary colors: yellow, red, and blue. All other colors are simply combinations of these primary colors. By staying with primary colors, you have a clear color choice from which to relate. It is a subtle difference, but an important one. Once a color choice is decided upon, you can determine its value, saturation and temperature relative to the colors around it. Mixing clean color comes from understanding which primaries are needed in its creation. To see clean color, you need to carefully consider your palette. To get a more personal color sense, remove all the secondary and tertiary colors from your palette. Mixing the color you see from a limited palette will force you to think about the color you mix and its relationship to the colors around it. This process helps the artist obtain a better understanding of color. I suggest a palette of warm and cool primaries, plus white. If you’re really serious about accurately mixing color, limit yourself to one each of blue, red , yellow, plus white. Remember to always use real pigments and not hues. 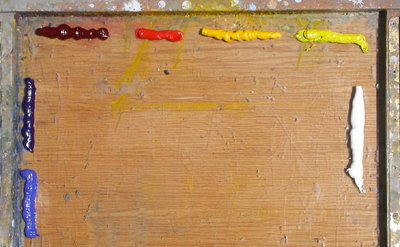 Because of the composition of hues, they are not reliable for accurate mixing.